The Honda Civic line-up has been given a refresh with styling upgrades for the interior and exterior to help improve what is already a very good offering. There’s also a new Honda Civic Sport coming which has a few styling cues from the firm’s upcoming Type R.
Honda have also introduced new technology and a new in-car entertainment system across all models and there’s a new automatic low speed braking system fitted as standard to. 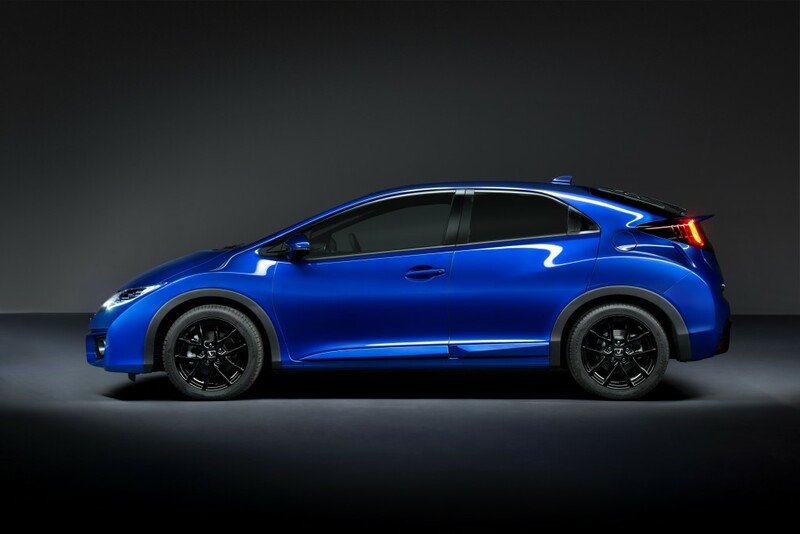 The Honda Civic is built at the firm’s Swindon factory and the new exterior tweaks provide for a new sporty look and include new headlamps incorporating daytime running lights. There’s also sleek new bumpers, a rear spoiler and side skirts. Along with the update comes a new spec upgrade inside which includes the seat fabric, trims and chrome handles for the doors and a metallic black finished control panel. There’s still plenty of space on board, with both the Civic and the Civic Tourer still having the largest boots in their segments. Like all major carmakers, the firm is introducing its new in car information and audio system which offers extensive connectivity which will enable drivers to browse the Internet, use satnav and access Internet radio and DAB stations. There’s also a new review parking camera installed too. However the biggest change for the Honda Civic line-up is the introduction of a hatchback-based Sport model. It comes with a 1.6 litre diesel engine which produces 120 PS or a 1.8 litre petrol unit with 142 PS to offer a more sporty experience. The new Honda Civic Sport also has 17 inch alloy wheels, rear spoiler and its new front bumper with a lower grille mesh and the cabin’s black roof lining echo what will be seen on the Type R.
Another new piece of kit which is becoming increasingly popular with carmakers is a city brake active system which will help mitigate or avoid low speed accidents by using radar to scan the road ahead. When an object or pedestrian is detected, the car will automatically apply the brakes if the risk of collision is imminent. There’s no doubt that the new Honda Civic is an excellent offering from a firm and it will remain popular with its fan base. This entry was posted in Car Leasing, Car Updates & Releases, Cars, Family Car, Popular Cars and tagged Civic, honda, Honda Civic, Honda Civic Tourer, lease the Honda Civic by Steve Lumley. Bookmark the permalink.